Alaska became a state January 3, 1959, the 49th state admitted to the Union. Juneau was established as Alaska’s district capital in 1906 when the government was transferred from Sitka and remained capital with statehood in 1959. Today, federal, state and local government employ one out of every two Juneau workers. Tourism is the largest private employer. Commercial fishing is present and mining continues to play a role. 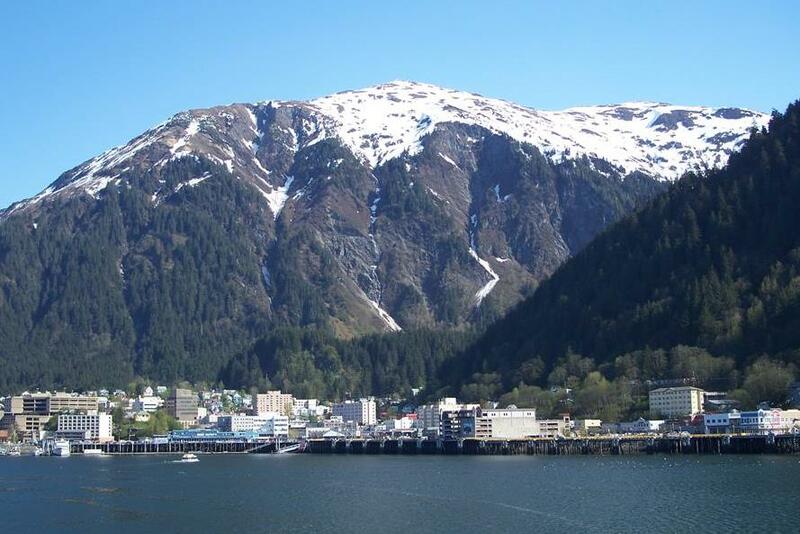 Considered by many the most beautiful capital city in the US, Juneau has something for everyone: spectacular scenery, abundant wildlife, great shopping, a myriad of outdoor activities, fascinating gold rush history, and warm friendly residents. Glaciers in backyards, Russian architecture, tour boats, 40 miles of paved road. On the Gastineau Channel, get there by boat or plane; see Mt Roberts Tramway, Mendenhall Glacier, Glacier Bay National Park. The awesomeness of scenery, the houses perched on mountainsides, the warm and true embrace of people there, the cruise-ship madness now and then. The ravens and the eagles and the bears. Mountains near: Boundary Range. Mount Juneau in downtown Juneau is 3,576 feet in elevation. Mount McKinley, in the south central part of the state, is the highest point in Alaska, and the highest point in North America, at 20,237 feet.